"Our average monthly electric bill from PEC was $66.51 (453 kwh). Our home is just over 2,800 SF. 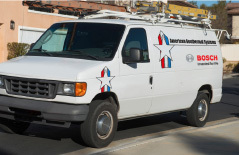 More recently, American Geothermal checked our geothermal system. Maintenance is key in our book and we continue to be impressed with our system and the professionalism of this company. 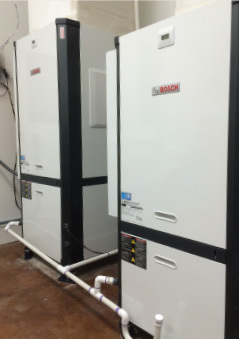 Our experience with American Geothermal is first class!" "The installation was complicated by the fact that the home, surrounding infrastructure and landscaping had been in place for well over 30 years. Victor DeMarco, president of American Geothermal, was apprised of the constraints surrounding the installation of numerous wells, the trenching, etc. He and his crew were superb to work with in both the installation and getting the system operational to our satisfaction." 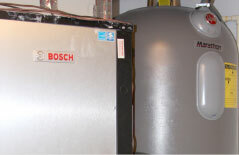 "I have purchased 2 systems from American Geothermal Systems / Victor DeMarco. I wasn't completely sold on geothermal for my first home, but I decided to give it a shot when my heat pump went out. Victor took the time to explain every aspect of the system to me, how the replacement process would work, and the economics of the system. The system worked just as he explained it would. I was very happy. 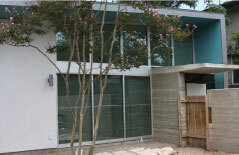 "The installation went off without a hitch and we absolutely love the results. It's extremely quiet, inside and out (I hate sitting on a patio and listening to an A/C compressor), the house is always comfortable (we keep it cold) and our electric bill has yet to be over $120.00 per month and we are all electric except for the fire pit and dryer"